Nice for Grown-up Ladies, Too! 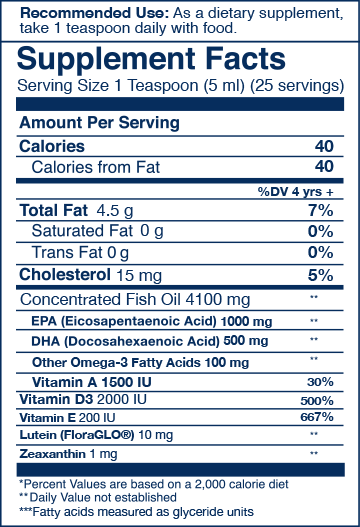 I added this to an order of Peak EPA capsules so I could try a fish oil liquid. I have to say, the mango flavor is surprisingly good! It also contains a decent amount of EPA/DHA, lutein, and zeathanthin, even for kids 40+. Great tasting for the little ones ! Another amazing product by Wiley's Finest! My daughter has tried many fish oils in the past and hated the taste of them. This product however she absolutely loves. No fishy taste and she loves the mango peach flavor.